New Year’s resolutions: A fresh beginning, a new start. But for working parents, resolutions can be hard to make, let alone stick to! Parents are busy people. More so if they both work outside the home, as we do. I rarely make resolutions, mainly because I try hard all year do to things like eat healthier, be more active, have more/quality time with the kids and spouse, etc. If I could wave a magic wand on New Year’s Eve, I would create more time. More hours in the day,more days in a week, just more time to get everything done! But that’s not a resolution, just a busy working mom’s wish. 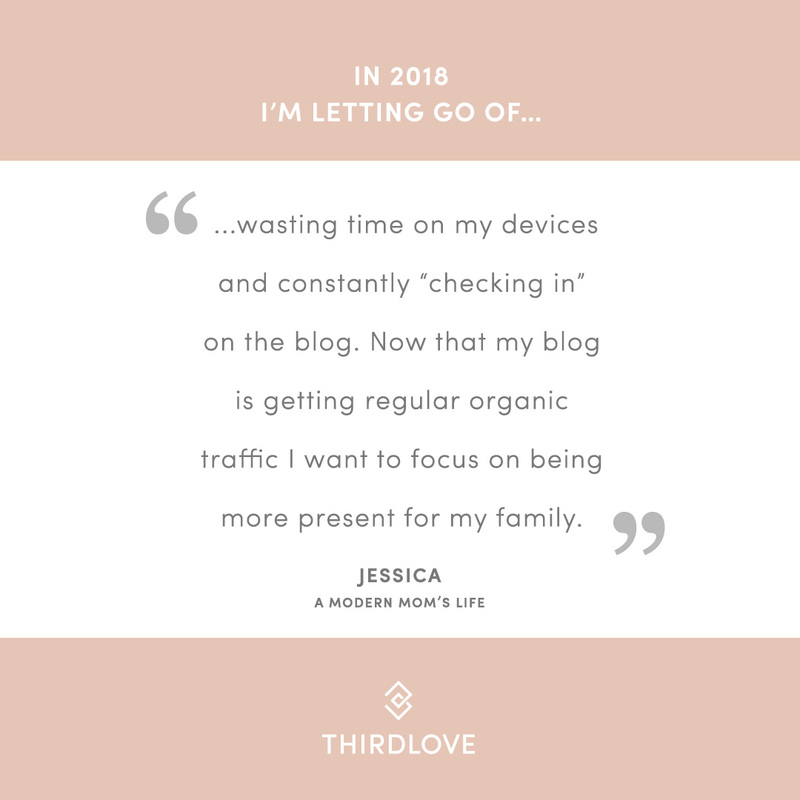 My Working Mom Tribe shared some of their real life resolutions with me. My self care includes an oooy gooy chocolate treat three times a week, ALL TO MYSELF, for MYSELF. This year my resolution is to become healthier! After Ricky was born last year (he just turned 1!) I have done a lot of sitting and eating junk food so for 2018 I want to be more active, shed some extra pounds and start eating and feeding my family better, healthier food! Less take out – more family dinners! Get organized for the coming week on Saturdays so Sunday nights are not such a rush and madhouse. Will I keep this as an active goal? Well, I didn’t do so hot this weekend and it was a 3-day. HA! My resolution for the year is to find more activities and outings to do with my family. I feel as though we already do a lot, and I don’t want to force so much time as a family onto my fiancé, but I know if it was fun, he’d be in for it. I want to do more things outdoors, and also do things that are a bit out of our comfort zone and try out! To shut myself in the bathroom less and find alternatives to get alone time. I’m not one to make a resolution as I am constantly nitpicking myself to be better and grow (an obnoxious habit to myself and everyone around me). 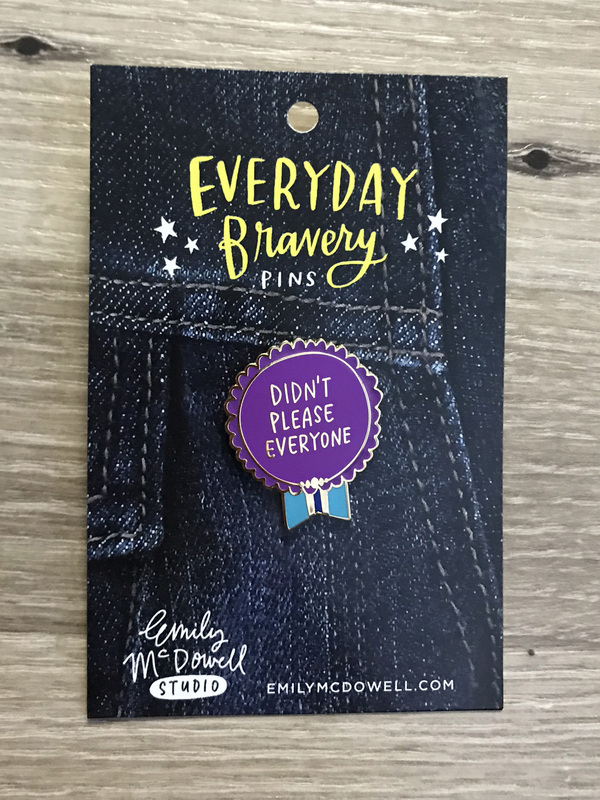 I did, however, just purchase an “Everyday Bravery” pin from Emily McDowell Studio (@emilymcdowell_ on Instagram) that I am learning to use as my new mantra. Mine is to continue to try to find what works for me to help me be more present at home with the kids. For now I’ve been running for thirty minutes after work to help shake off my work day. I’ve downloaded some audio books and listen to those while I run to help it not feel as boring. I’ve also been trying to be more conscious about how much time I spend on my phone when I’m with my kids. I’m trying to put my phone down on the entry way table when I get back from my run and not look at it until after the kids go to bed. To be fair I have an Apple Watch so I’m still seeing all my texts come through but it keeps me off social media and I don’t respond to the texts until the boys go to bed. ThirdLove is a bra company working to #breakthemold with an anti-resolution campaign they’re running. I thought their message would fit well with my real life resolutions post! They offered to create me a card to share my real life resolution easily across social media, so of course I said yes! I did not receive any compensation for mentioning them in my post. Let’s be honest, the usual resolutions rarely work out. So this year, the bra company ThirdLove is encouraging Moms to let go of guilt over their resolutions and embrace life’s real imperfections. Maybe you’re letting go of your guilt over taking a leisurely lunch outside like their co-founder Heidi. Maybe you’re giving yourself a break for splurging on a set of cute bras for yourself. Whatever it is, ThirdLove is inspiring women to think differently about their typical resolutions this year! Personally, I’m giving myself a break on constantly “checking in” on the blog. Now that my blog seems to be getting organic traffic, I feel like I can “check in” less often. As long as I make enough time weekly to write up new posts, I don’t really need to be on the blog every day checking things out. Share your real life resolutions with me. I want to know what you want to achieve this year – or what you want to stop trying to do! Leave me a note in the comments. These are great. Love the honesty of all these moms. Personally I don’t really make resolutions since stuff always seems to get in the way. I just try my best to move forward. Any progress is great at this stage in my life lol! Resolutions are a funny thing. I don’t really make them, but the new year sees me often try to get “back on track” with things like eating healthier and getting more active in my life. I also love sharing the “real life” side of parenting. Polling my audience is so much fun, and you learn a lot about your fans and readers! I actually don’t bother with any resolutions. I prefer to work on making small changes in my life through the year as I see fit. This is often my approach as well. I do find the new year acts as a reminder of these little changes I tried to make through the year – and I work to get back on track with those. Thanks for the comment! Right? Time just flies away all the time! I also think getting your next week sorted on a Saturday sounds like a great idea. Then maybe you can sit down and relax for a few minutes on Sunday before the week gets hectic again! This was a great topic and so interesting to see what other moms say. Thanks for including me. Mine sounds a bit contrived next to the others, but sometimes, you’ve gotta do what you’ve gotta do. 🙂 Great article, thank you for including my comments! That’s what I love about these posts Caitlin – everyone shares how they feel, or what they do, in their real life. We all have our own ideas and opinions, and that’s what makes us special and unique. I hope you’ll join me again for more of these crowd sourced posts! That sure does sound like a goal that would be easier to stick to! Thanks for the comment Heather. It sure is hard to find that balance, isn’t it?? I find it pretty hard to “unplug” when I know there are blogging tasks I can be doing. But I’m working on it – slowly but surely! I am always surprised how much I enjoy myself when I do (finally) get out with friends. I need to get onto that more myself!